Property 2: OVR's Orndorff Cabin-AUTHENTIC,Primitive &cozy CABIN in the MOUNTAINS OF PA!! Property 5: OVR's Schaefer House-All the comforts of home!Min.to Ohiopyle & Fallingwater! Property 8: OVR'S Marietta House-1920's Farm House w/ Scenic Views of Sugarloaf Mountain! Ohiopyle's Best Location for a Reunion or Peaceful Getaway! Property 9: Ohiopyle's Best Location for a Reunion or Peaceful Getaway! Property 10: Cozy Cabin located just 1 mile from 7 Springs ski resort. Property 12: OVR's Pura Vida- Beautiful Lodge located IN Ohiopyle State Park! Property 20: Laurel Highlands Condo - Near Ohiopyle State Park! 2019 Spring to Autumn Sale! Beautiful 8-Person Condo at 7 Springs! Property 21: 2019 Spring to Autumn Sale! Beautiful 8-Person Condo at 7 Springs! Property 23: Spring DISCOUNT, Golf now OPEN! 4BR/3.5BA on mountain at shuttle stop. SLEEP 13! Property 27: Convenience, beautiful views and comfort, all in one small apartment. Property 28: Heart Of Ohiopyle Vacation House, Located within the town of Ohiopyle. 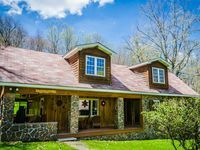 Property 30: Turning Leaf Lodge--Cozy Cottage with Hot Tub/Spa in Ohiopyle. Property 31: Fayette Springs--Creek House--Enjoy this Spacious Cottage! Seven Springs, 4 Season Home, 60 mile view!. Property 35: Seven Springs, 4 Season Home, 60 mile view!. 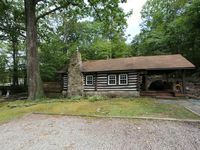 Property 45: Cozy, rustic cabin w/ HOT TUB minutes from Ohiopyle State Park! Property 46: OVR's Spoonwood Cottage-Frank Lloyd Wright inspired! Sleeps 12! Hot Tub! Ultra-hip/family friendly- SKI IN/SKI OUT Village Trail. Property 50: Ultra-hip/family friendly- SKI IN/SKI OUT Village Trail. Rating Details: The property manager was very helpful. The vacation rental was very clean. I was more than happy with the location. I was more than satisfied with the condition of the vacation rental. Overall, I recommend this vacation rental. Reviewer Comments: The quaint cabin is literally a cabin in the woods - make sure your car has four-wheel drive! lol! The home was clean, there were plenty of beds. The only thing we were not crazy about was the showers and bathroom arrangements and ended up showering at the spa at Nemacolin. It also rained our first and last day there, so a better sidewalk to enter the home would have been nice to keep from us playing hop along on the cement stones.